Content, as everyone should know, is the basis of every website. Without some form of content, it is impossible for Google to value a website and deem it worthy of a high ranking. It is also unlikely that a site with little-to-no content will be of value to visitors. While image or e-commerce are exceptions, there are still benefits to be realized with a blog. Content should be written for users and not for search engines. If everything is done correctly, both in the search engines and visitors will love what is produced. This is, however, if there is a rhyme and rhythm behind the content that is produced. Visitors to a website are always looking for answers. These answers can be virtually anything from what the best new cell phone is to where they can purchase a gift for the holidays. Regardless of what a person is searching for, they will want answers. Content strategies are going to produce these answers in an eloquent manner. However, there are quite a few ways in which content can be tailored for a website. These marketing strategies are normally derived from targeted keywords. The idea is that when a keyword is searched often and if content is structured around these words, a website will rank highly for them. However, these keywords must be placed within content in a natural manner. Every article must be written with a purpose. If there is not a purpose present, virtually any topic can be written about. This does not fit well into the idea of a niche. If a blog has the majority of its content written about language learning, it would be a tragedy to start adding content about plumbers. Readers of a language blog would not benefit from this at all. Instead, content marketing has to be done after a few questions have been answered. What is the purpose of my content strategy? What will this strategy provide for my readers? What exactly are people searching for in this niche? How many times a week should posts be published? Will newsworthy information be written? Once this has all been determined, it will be time to start developing some sense of topics to write about. Normally, people head over to Google Keyword Planner and will gather keywords related to their niche. This is obviously a smart way to find what users are searching for, but this is not the only way. The goal is to fit keywords into text without thinking about what they may be. For instance, this article is filled with great keywords that have been produced naturally. While there was some LSI research done to get a general idea of what keywords exist, nothing has been produced with these keywords being the prominent reason for a sentence. Instead, they have been placed appropriately to ensure that this article flows naturally. Now, each of these topics can be researched a little bit. Once a person delves into Cinnamon, they will find that it helps reduce blood sugar. Great! Now, a person create a few new topics out of this one finding. The Properties of Cinnamon: This article could talk about the origins of cinnamon, where it comes from, what properties it contains, what foods it is used in and what these properties help with healing-wise. Cinnamon – Diabetes Symptoms Reduced Naturally: Since cinnamon has been used for lowering blood sugar, studies have shown those with diabetes can reduce their blood sugar by 10 percent with using this spice. Cholesterol Reduction – Cinnamon to the Rescue: Now, this article can delve into other studies which show that cinnamon has been shown to reduce cholesterol. This is amazing for heart disease and those wanting to maintain a healthy heart. It took 2-3 minutes to formulate these topics and in-depth articles can be created for each one. In fact, 10 articles could be written on cinnamon easily. This means not only will readers be able to find everything they want to know about cinnamon, but maybe they can also refine their search by the categories provided on the blog. For instance, one category may be diabetes related. Now, a blog can target a slew of keywords and really get the word out about what natural remedies every person is able to utilize for better health. All of these keywords relate to one thing – automobiles. These will give a good indication that an article pertains to automobiles and that the subject matter is informative. When this can be produced naturally, search engines will rank an article higher and there will be a slew of keywords being ranked instead of just one. When done correctly, this does not hinder the natural flow of the article and will be unnoticeable. 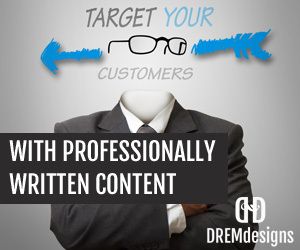 Now, killer content can be produced for virtually every day of the year. This is what every blog needs. However, there can always be refinements along the way to make custom content based on post popularity. Let’s briefly look at how current content can help to shape a strategy. If some posts are simply struggling to be noticed but others have been quite successful, a content marketer will be tasked with doing further research on why the popular post is of interest. Perhaps, this is a topic that was well discussed and something that resonated with readers. Instead of writing another piece on a topic no one enjoys, it may be wise to add in an extra article every month on the same topic that has shown to be popular. This will help to retain readers while allowing a website to cover all of the possible questions a visitor may have. It is better to be over-informative with a topic than simply leave readers wondering what else to do. The true importance of every article will be what it can provide to readers. This eliminates all of the “fluff” and gets right to the point of a content strategy. If a strategy is executed correctly, readers will be informed, they will be engaged and they will start to be social. This is what every viral campaign has been able to do and the secret is this: A lot of thought and planning goes into viral content. Many of the world’s most popular blogs will not publish content on the weekend. This leaves 5 days a week when content is a “must.” Obviously, posting schedules will vary with some niches only demanding a few posts a month and others requiring several a week. In either case, there has to be an easy way to spread content out over a week, month or even year. Thankfully, those using WordPress can simply schedule their posts for the future. In fact, many CMS platforms will have a future post option. Content scheduling for at least a week or two in advance is highly recommended. This allows for fresh content to always be posted and new content to be created. Through the use of a content strategy, it will be possible to drive traffic to a website like never before. This is the foundation of success and will be fruitful for all those that are willing to put the time and effort into their own marketing plan. Once created, adhering to the schedule is a must. Even when visitors are scarce, content must be posted. Eventually, highly targeted traffic will trickle in, natural links will be gained and success will shortly follow! What tricks have you found that make content strategies a breeze? Leave your comments below and let us know!